Humans aren’t the only ones who can get the blues during a long cold winter. Imagine being cooped up (literally) day after day with the same people! 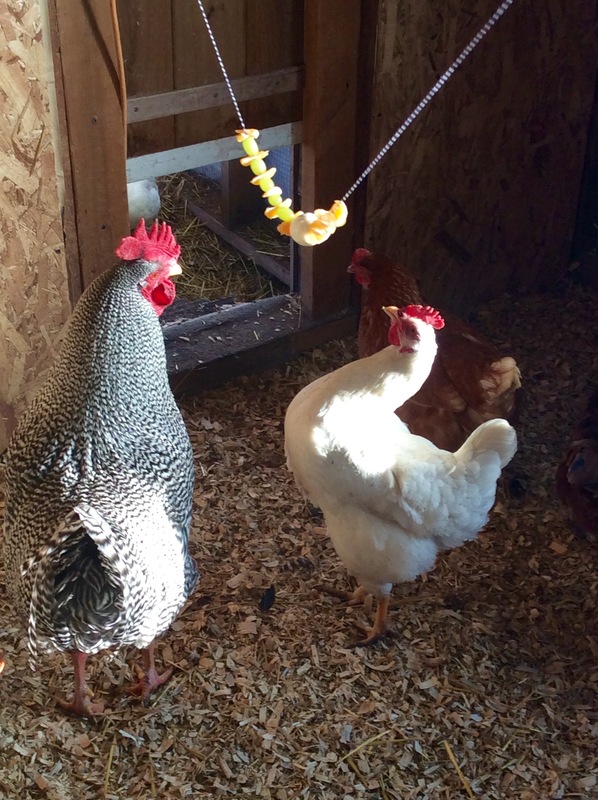 This is exactly the case with my chickens, so battling winter boredom is an integral part to keeping the flock healthy. The easiest way to cheer up your birds is to visit them with plenty treats. Most birds like their human visitors and come running expecting the usual handouts of grain, sprouts or mealworms. Its easy to spark their curiosity when something new and unusual is brewing. For today’s blues buster I decided to build a treat on a string. In an effort to get them doing something different and physically jumping and stretching, this was the perfect treat! 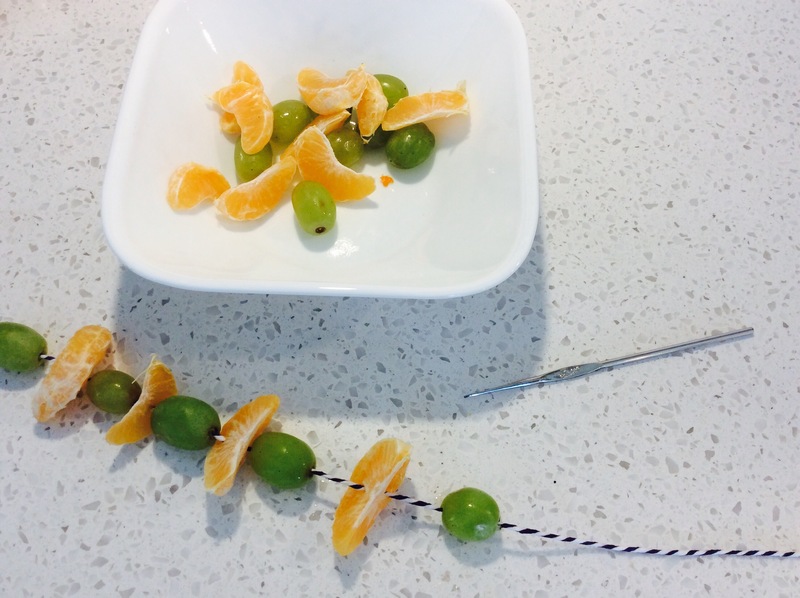 Fresh mandarin slices and grapes made up the bulk of my strand. Yes, I’ve heard rumors that chickens don’t like citrus but my birds don’t seem to mind it. In most cases I limit fruit because not only can it make poo super runny, it is not very high in protein. 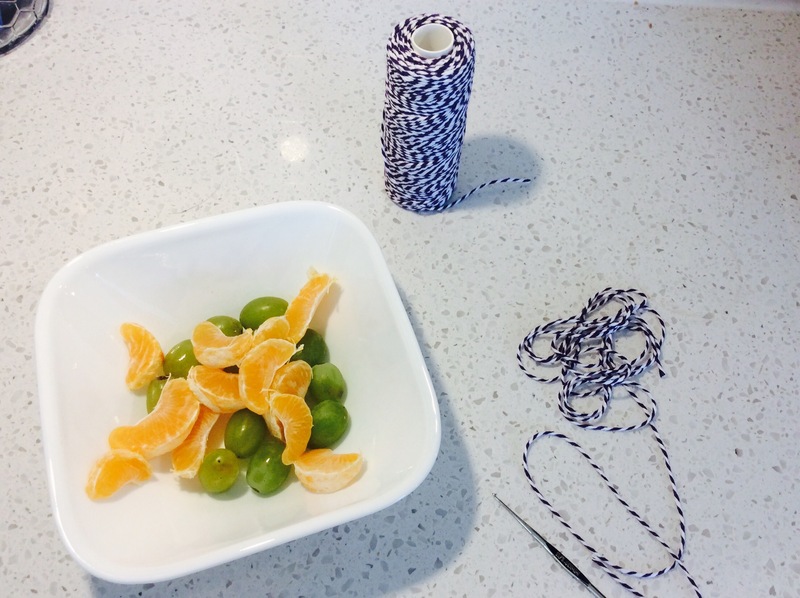 Using a small crochet needle and cotton baker’s twine I can easily thread the fruit onto my strand. 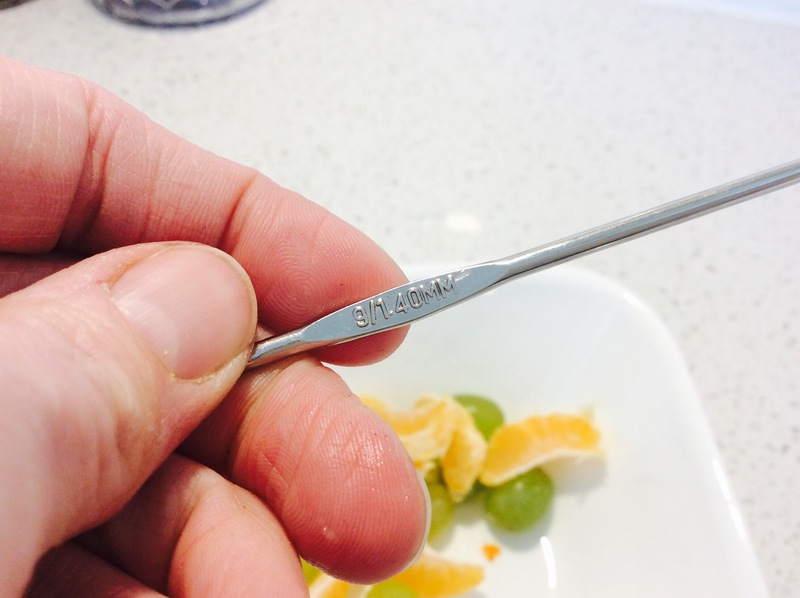 The smaller the needle the better when it comes to the type of fruit I am using. 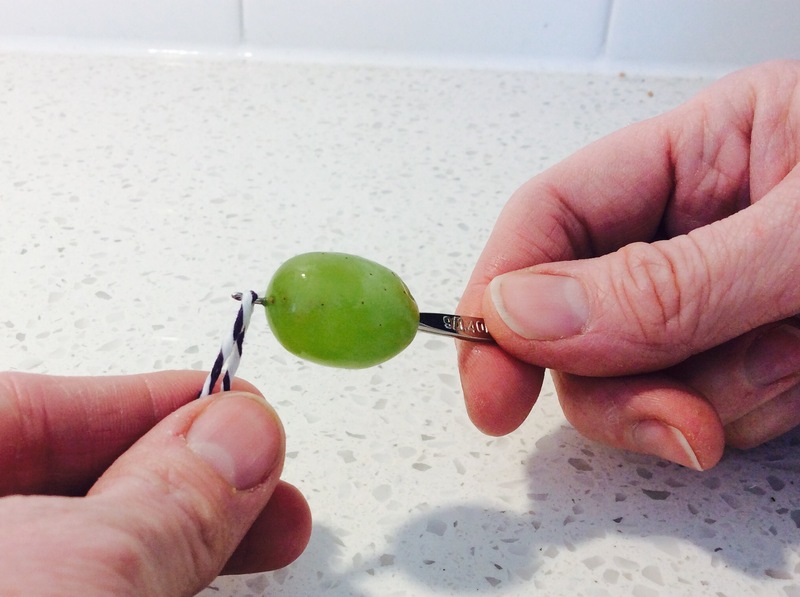 The fruit is easily punctured and the twine pulled through while leaving the fruit intact. Before too long, your string is loaded up with plenty of fruit or veggies such as zucchini or cucumbers if you have them on hand. Don’t be afraid to get creative because your birds won’t complain…trust me. 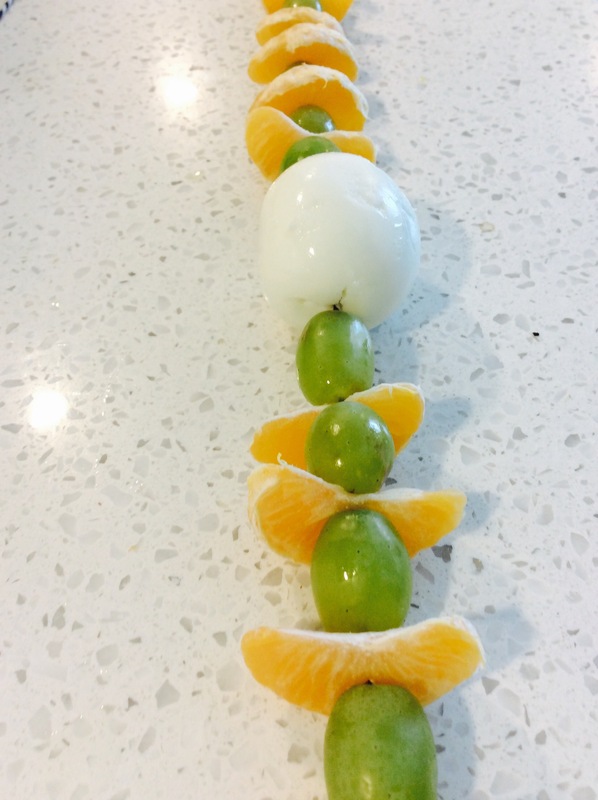 To up the protein content of this particular treat I decided to add a hard boiled egg. I wouldn’t worry too much about the shape of it looking egg-like because this entire concept will be so different to the chickens they won’t look at freshly laid eggs as a food source. Now for the fun part! 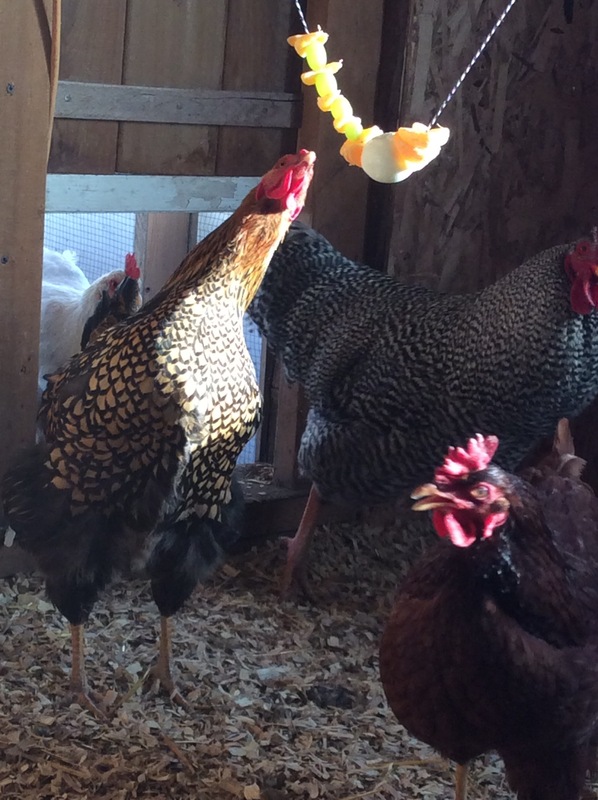 Hang your string up, just out of comfortable reach for your chickens. This will get them curious and get them stretching and exercising! They should be hopping or perhaps their wings will be flapping a little. Before too long they will start notice this “new toy” was meant for eating. Their curiosity will naturally get the best of them and after the first bird figures it out…they ALL figure it out! It’s a sure fire way to keep your flock engaged and from sinking too far into those winter doldrums. Here’s the best part! The video!